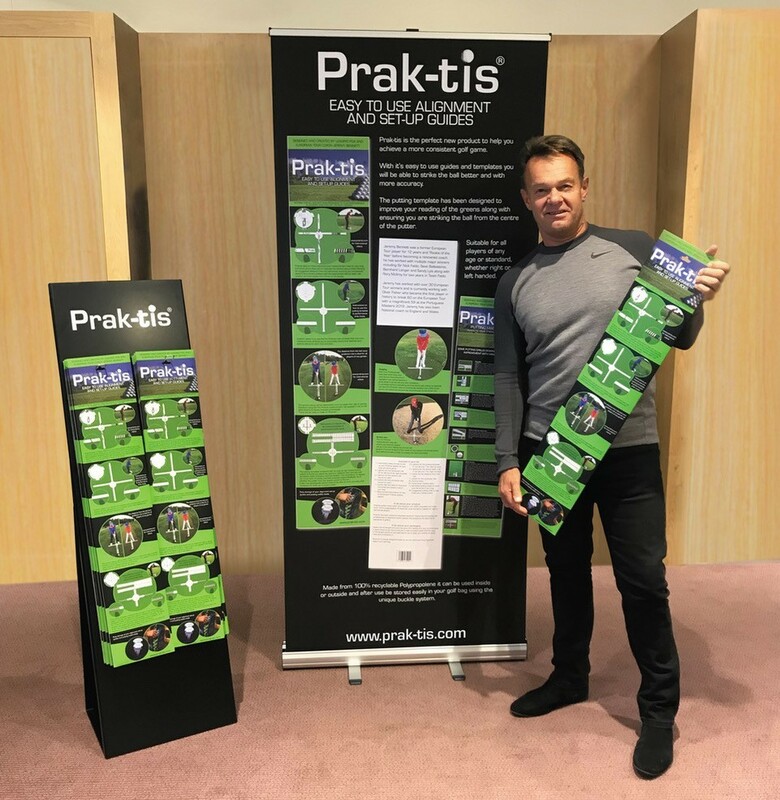 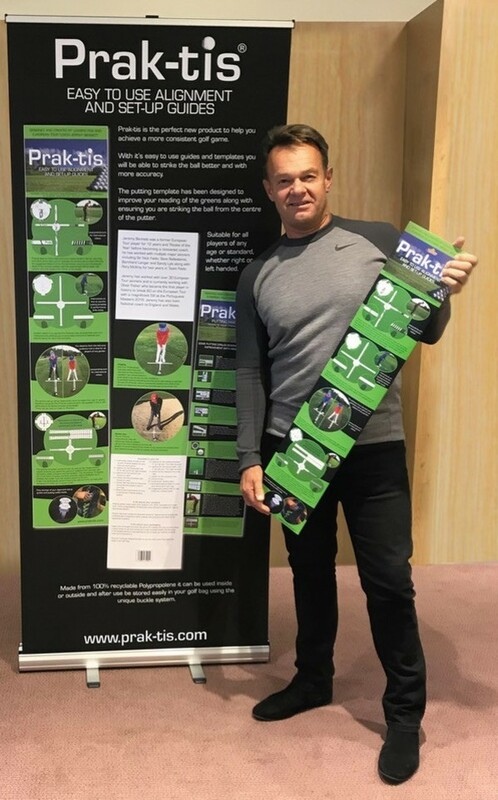 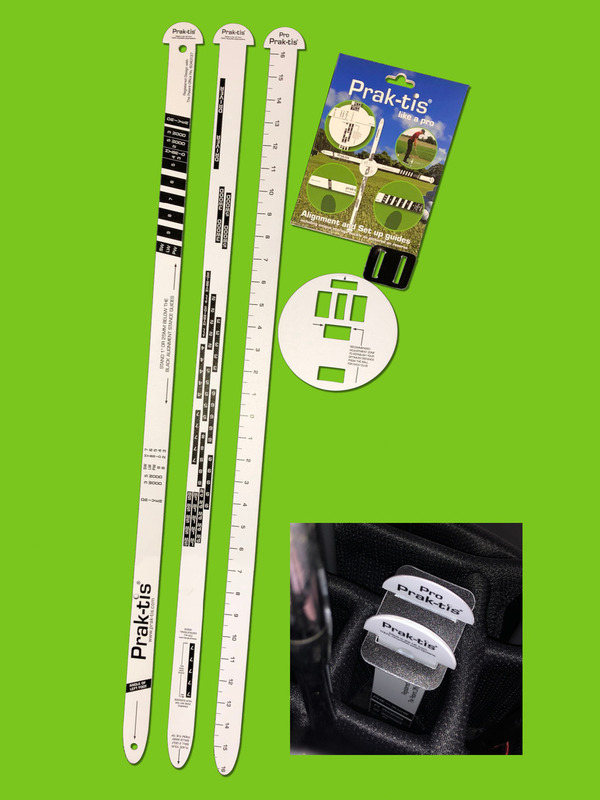 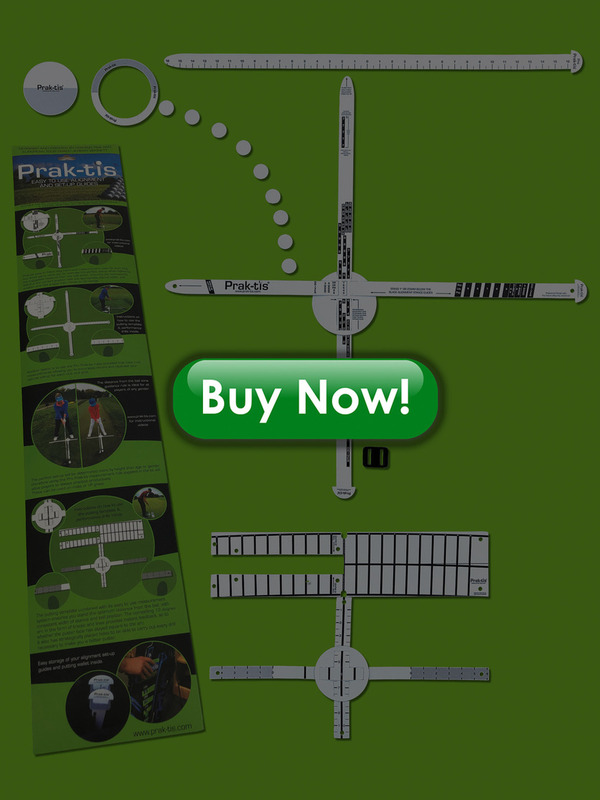 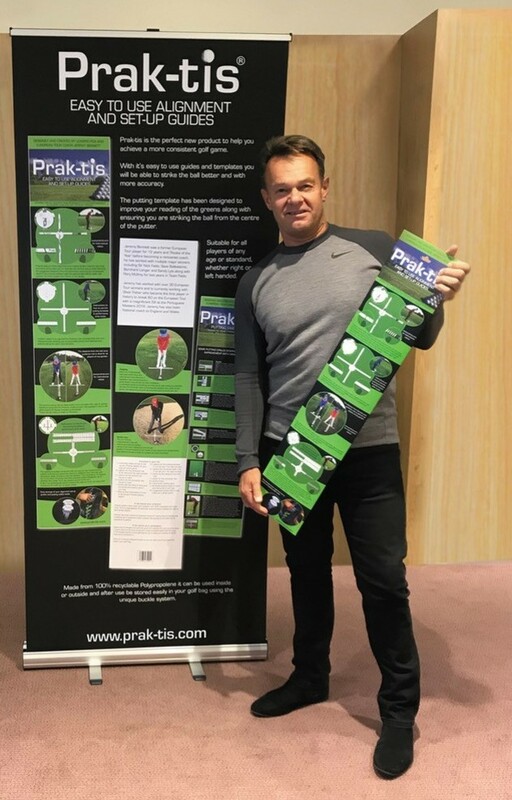 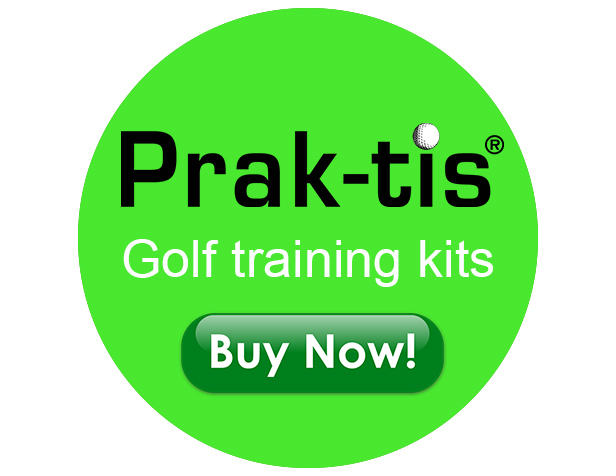 The prak-tis kit has been designed and created by leading PGA and European Tour coach Jeremy Bennett, easy to use and taking all the guesswork out of your set ups! 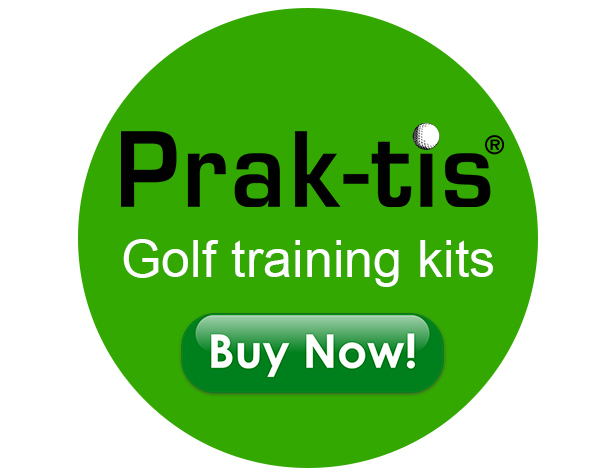 The complete kit will make you a better more consistent golfer and has every element needed from long game to putting to ensure you get the most out of your practise. 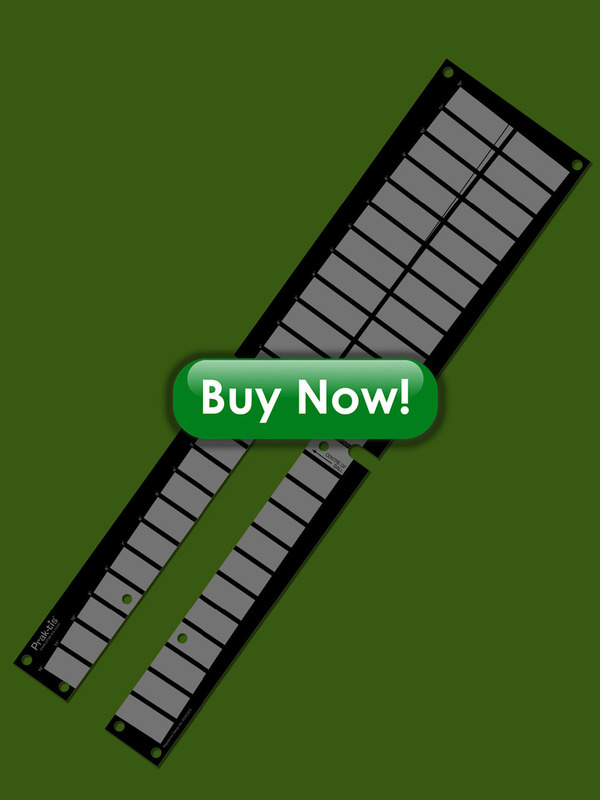 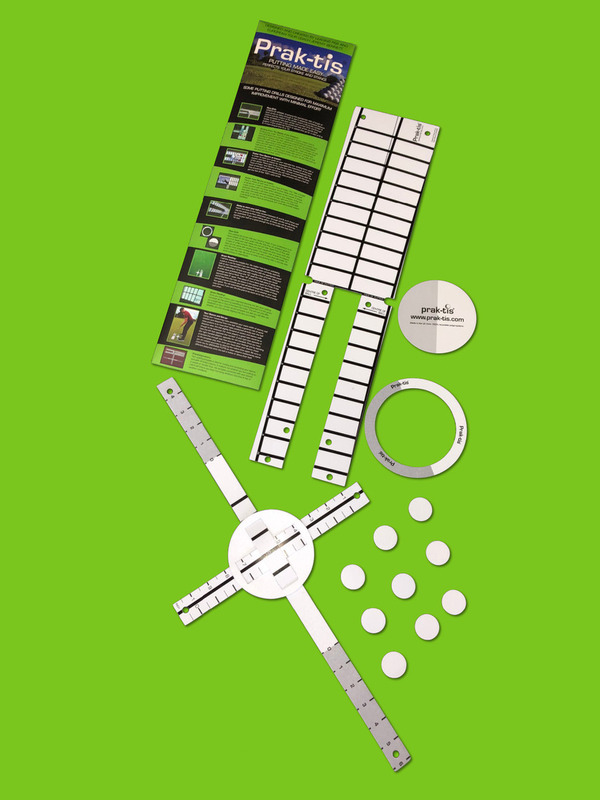 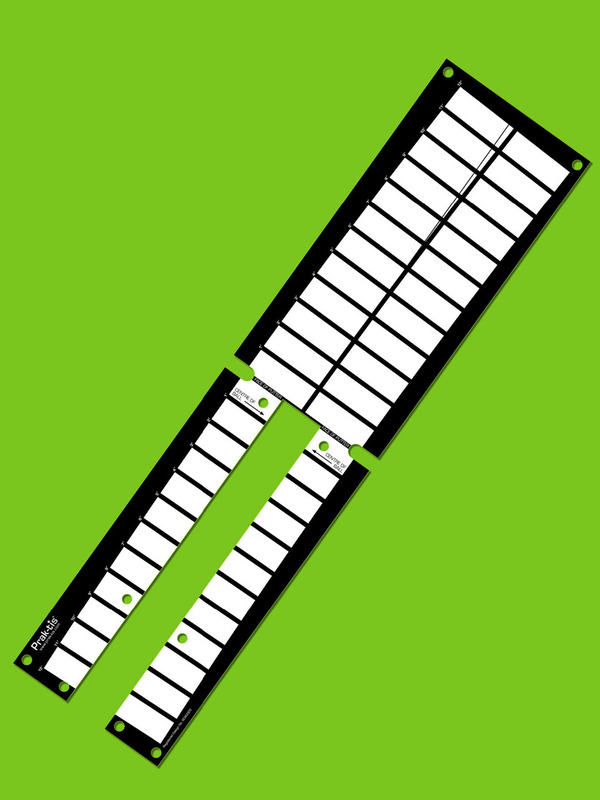 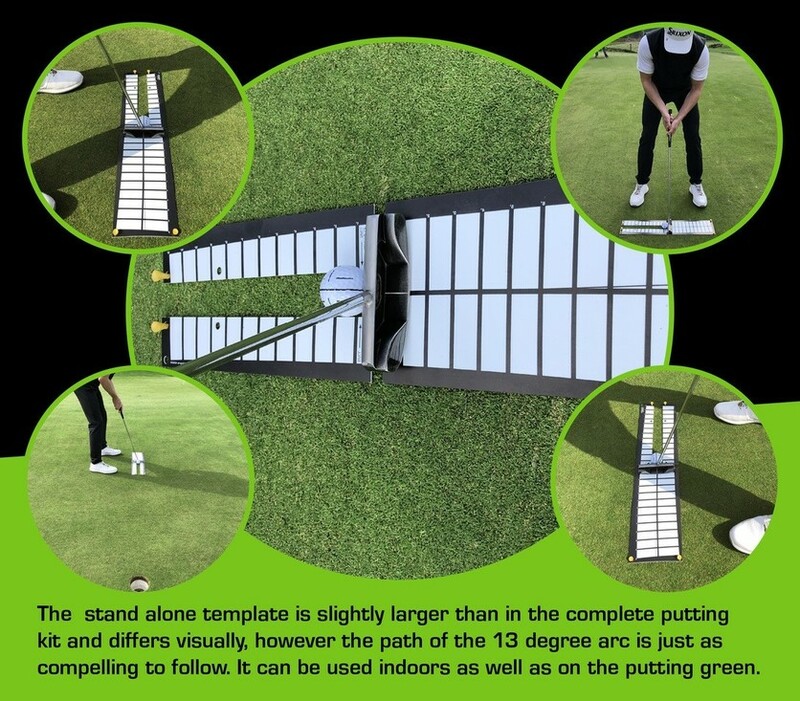 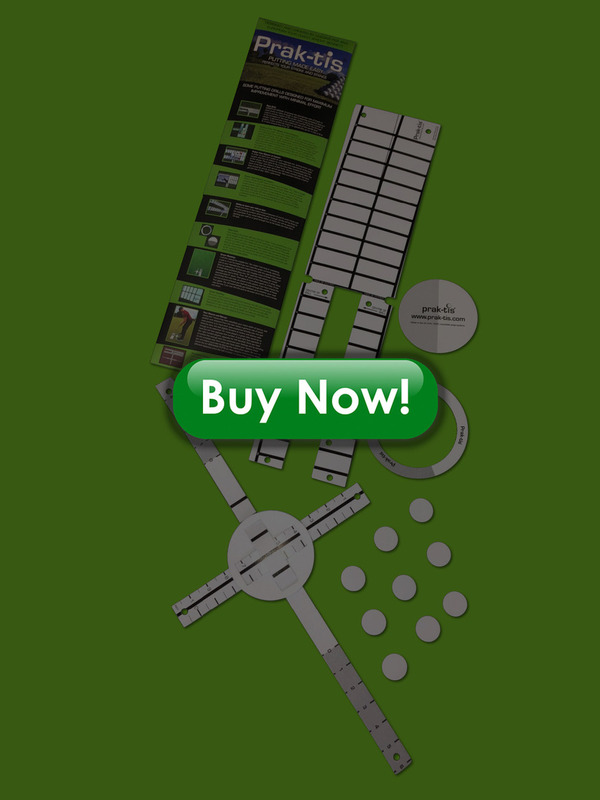 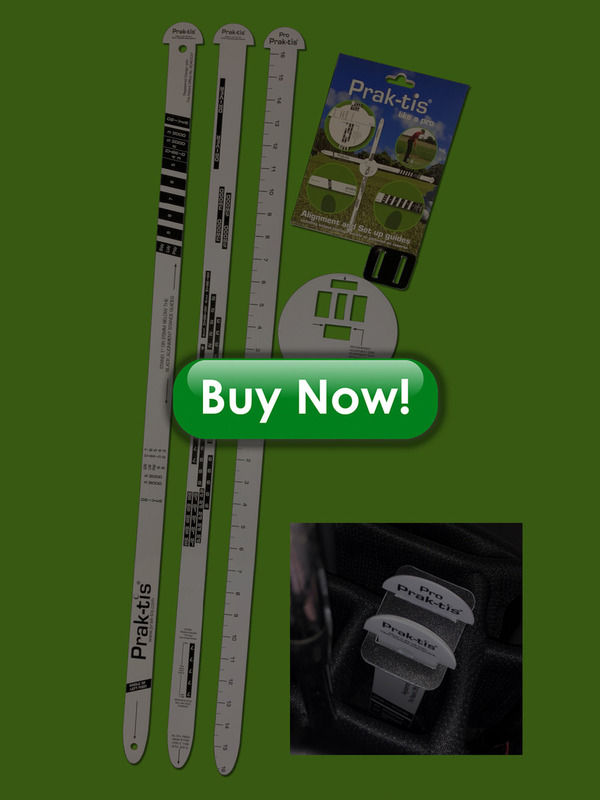 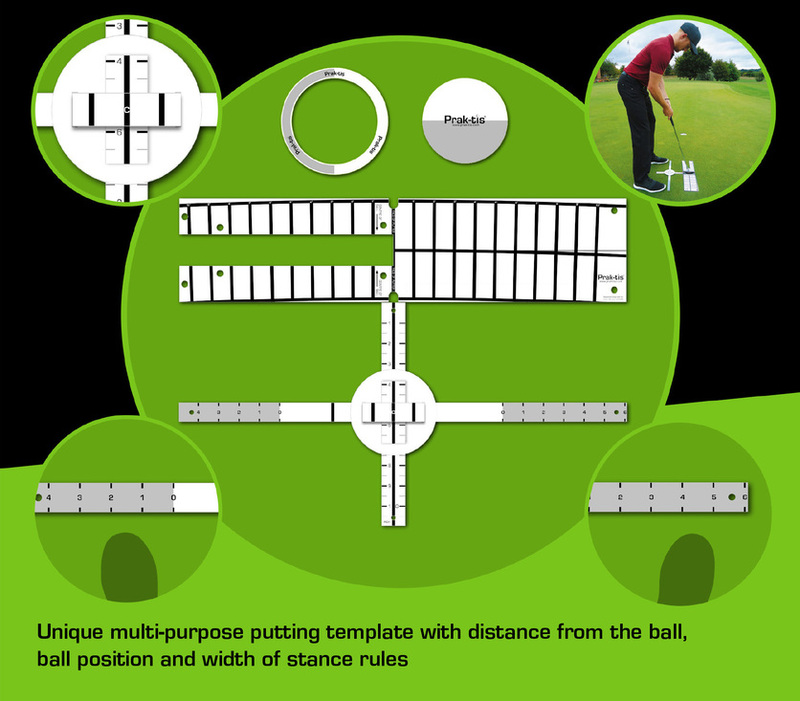 The putting template and measurement system has been designed to improve your green reading, stroke, feel and position when putting with strategically drilled holes for all types of drill practice. 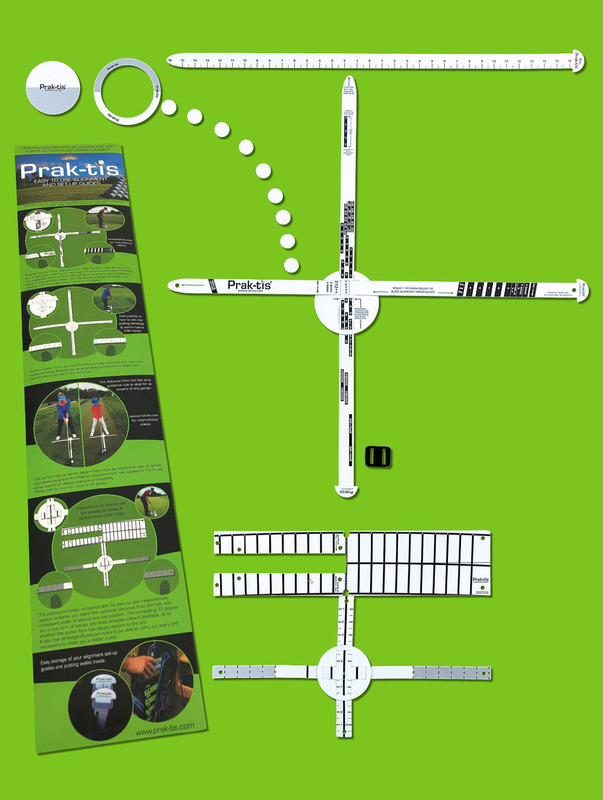 The alignment guides for all genders and any ability allow you to set up in the perfect position every time in relation to the club you are using.